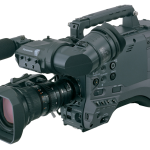 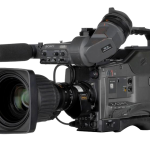 This full 2/3″ DVCPRO HD camcorder records pristine 100Mbps HD images in any of 11 video formats, encompassing 60Hz and 50Hz production. 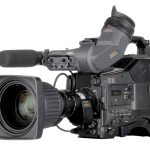 The versatile, cost-effective camera provides higher-quality 4:2:2 intra-frame recording that holds up through layers of special effects, graphic overlays and constant editing and processing. 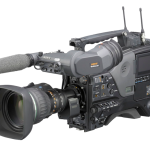 Collaboration and content exchange are essential in sports production, cable shows and reality TV — and nothing maintains the original image integrity and sound quality like DVCPRO HD. 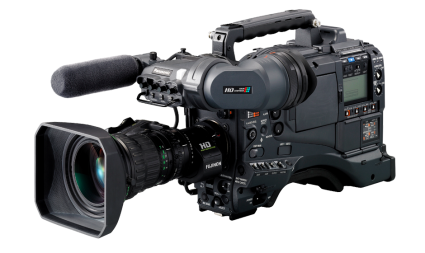 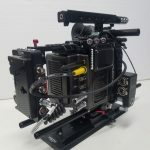 With 1080i, 720p, 24p and 25p capabilities, the AJ-HDX900 is perfect for long-form HD programming and an invaluable tool for digital cinematography, cable and television production in any format, sports and events, for globetrotting documentarians and feature crews, and for the rental companies that serve them.